Help your guests get the ultimate enjoyment out of your Central Ohio event when you give them Columbus Drink Tickets. 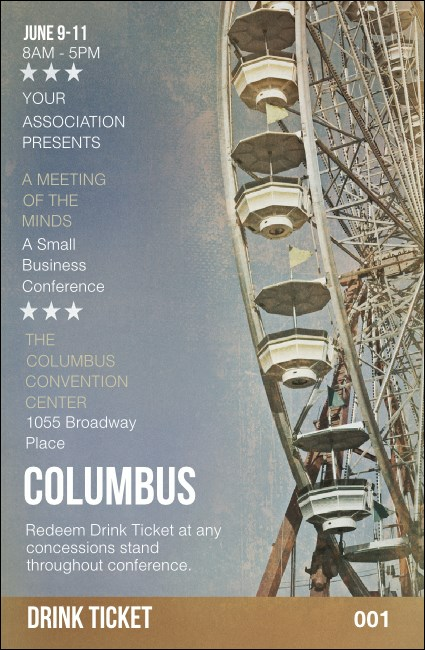 Show your attendees that Cowtown knows how to treat them right with tickets that feature a background image of the giant Ferris wheel from the famous Ohio State Fair. Find the right ticket for Ohio’s capital at TicketPrinting.com.